Crunchy Italian Salad | What's for Dinner? 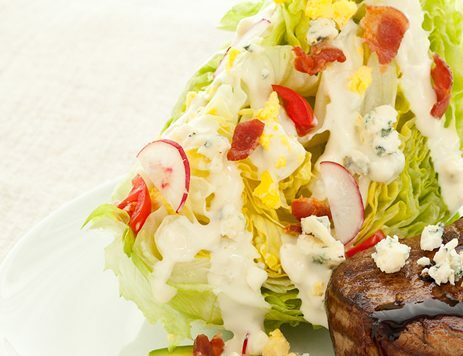 This crunchy, flavorful salad of lettuce, red onion, bacon, blue cheese and Marzetti® Sweet Onion Salad Dressing is ready in just 15 minutes. In a mixing bowl, combine lettuce and red onion with all but 2 tablespoons Marzetti® Sweet Italian Salad Dressing and toss. Arrange lettuce mixture on salad plates. 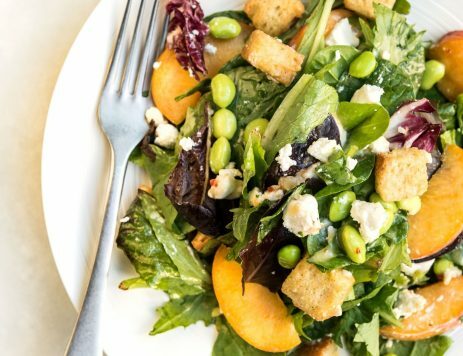 Divide and top each salad with remaining ingredients and drizzle the tops of each salad with the remaining dressing. Serve.